Portrait of Congressman Josiah Thomas Walls, rc00830. Florida Memory. State Archives of Florida. 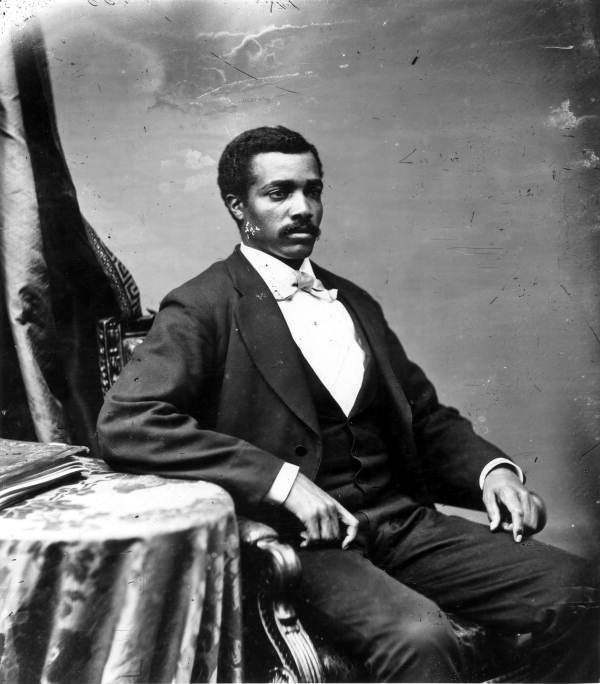 Josiah Thomas Walls was Florida's first African-American representative to serve in Congress. Walls was born a slave in Winchester, Virginia, in 1842. He was forced to join the Confederate army, but was released from this service after their capture at Yorktown by Union troops in 1862. The next year Walls joined the U.S. Colored Troops, where he rose to the rank of corporal. He was discharged in 1865 in Florida, where he stayed to become a teacher for the Freedmen’s Bureau. In 1868 he was elected to be the Alachua County representative in the Florida Constitutional Convention, and in 1869 was one of five freedmen in the Florida senate. In 1871 he was elected as the Florida representative to the 42nd Congress (1871-3), but the election was contested by his opponent, who was declared the winner in January of 1973. However, in November of 1872, Walls beat the same opponent for a seat in the 43rd Congress, and was assigned to the Committee on Expenditures in the Navy Department. Walls was elected again in 1874 to the 44th Congress, and assigned to the Committee on Mileage, but once again his position was challenged by the losing opponent, and once again the opponent won. In the time he was in office, Walls worked towards improving Florida’s physical and governmental infrastructure, and did his best to defend and strengthenFlorida’s tourism and agriculture industries. In 1876, Walls moved back to Florida, and months later won a seat in Florida’s state senate. He remained in and out of politics until his death in 1905. Information from: Black Americans in Congress. Josiah Thomas Walls. http://baic.house.gov/member-profiles/profile.html?intID=17, accessed January 24, 2011. 1976 Josiah Walls: Florida's Black Congressman of Reconstruction. Gainesville: University Press of Florida. 2006 A Black Congressman in the Age of Jim Crow: South Carolina’s George Washington Murray. Gainesville: University Press of Florida.